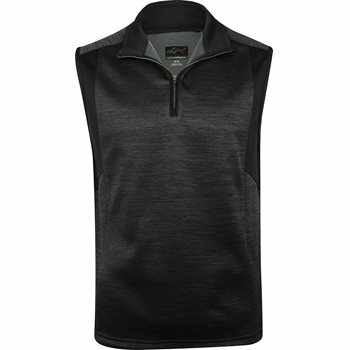 The 1/4-Zip Heathered Fleece vest offers water resistance, UV protection, and PlayDry moisture wicking that draws sweat away from the skin so you can stay dry throughout the day. The fleece material and mock neck provides additional warmth when the weather is cool. This easy to care for vest is machine washable and resistant to shrinking and wrinkles. Design details include accent panels on the sides, the reflective Shark logo on the back collar, and a ¼ zip placket for closure adjustability.